Target archery is a rapidly growing sport in South Africa. TuksArchery offers both recurve and compound target archery. There are many opportunities for competitive and social shooting throughout the year. These include league shoots, Indoor and Outdoor World Archery sanctioned competitions and IFFA Indoor and field shoots. For beginners, we recommend an introductory session which takes place on allocated weekends. 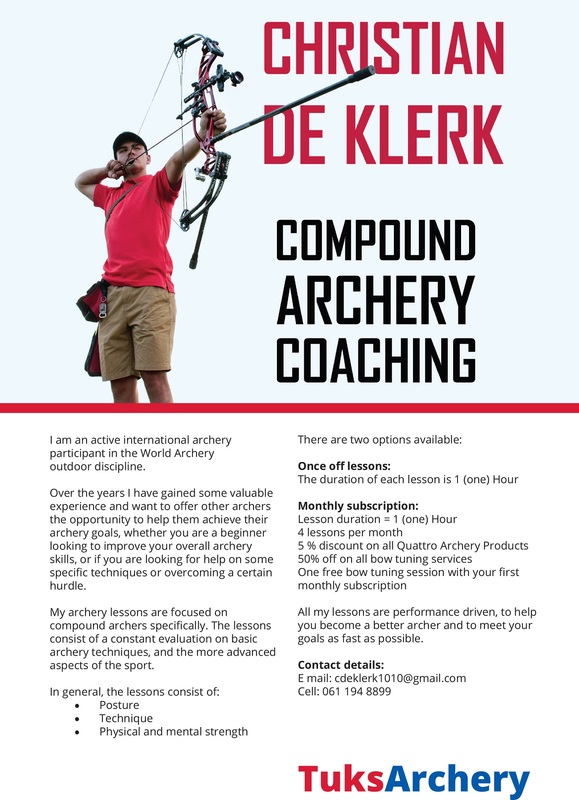 You do not have to be a TuksArchery member to attend the introduction session. We will provide you with the equipment. Please contact [email protected] to book an introduction session. TuksArchery also caters for disabled athletes. 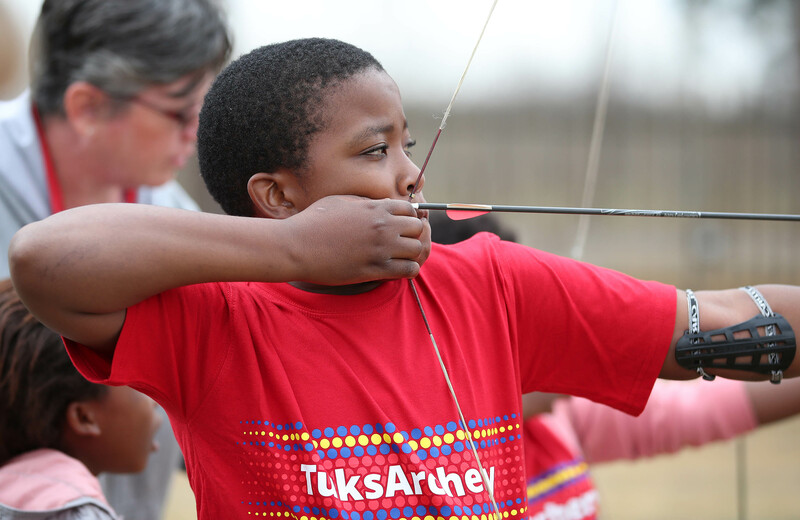 TuksArchery hosted its first development clinic on Saturday 8 September at TuksSport's shooting range. Twelve kids aged between 10 and 14 from Mamelodi were invited.